​While I don't profess to know what the President's talking about ever, his latest tweet came absolutely out of nowhere. Apparently, Donald Trump was home late this Friday, managed to watch LeBron James interviewed ​regarding the school he built from the ground up to help our country's disadvantaged youth, and decided to get in on the whole MJ/Bron debate a little bit, too. ​​"I like Mike!" is such a crazy capper. This isn't the first time Trump and LeBron have been brought up in the same sentence; when Steph Curry refused a White House visit last year, you may remember Bron calling Trump a bum. Amazingly, when people wondered over a year ago why Trump didn't respond to LeBron's "U bum" tweet, one user pointed out a solid theory. ​​Turns out, he was 100 percent right. LeBron, of course, is not dumb. 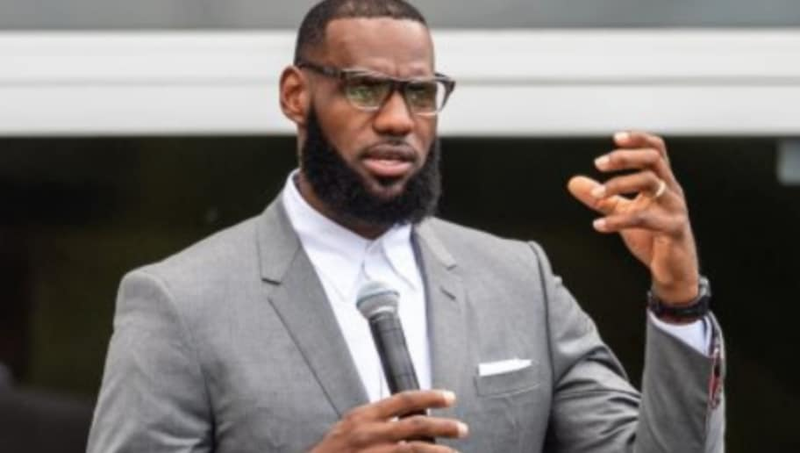 He's among the most socially-conscious athletes around, and the ​sweeping gesture of opening a school in Akron should lead all athletes in a different, more charitable direction for the next generation. This tweet really caught us out of nowhere.